It’s the little things that count when traveling. You can have the nicest gear and the nicest suitcase, but the worst lock, and you’ll be doomed. That’s why our family decided to invest in a good lock for our suitcase and backpacks. 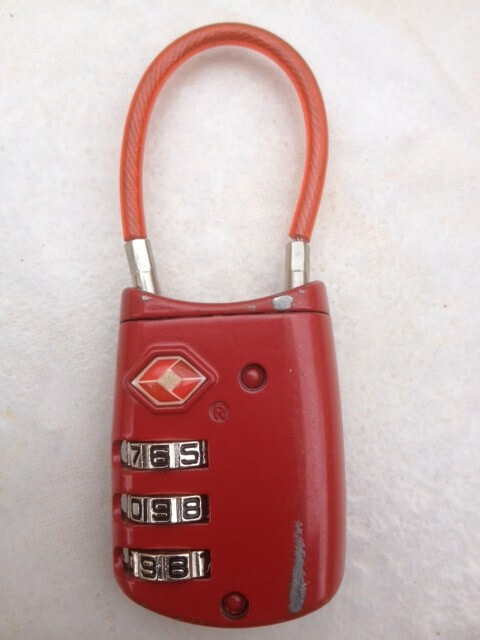 One of the locks that we got for our RTW was the Master Lock 4688D TSA Accepted Cable Luggage Lock. It was the best seller on Amazon.com in the luggage lock category, so I figured it would be good. 6 months into our travels, I can confidently say that this lock has done its job. We’ve mainly used this lock on our check-in eBags Mother Lode Wheeled Duffel. One major plus since we check the lock in, is that it is TSA accepted. When I first received the lock, it was set on the code 000, but the package came with simple instructions for customizing the combination. 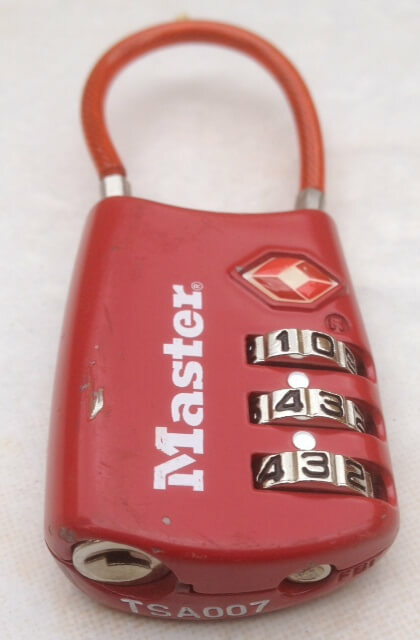 So far, I haven’t had any problems with the Master Lock Cable Luggage Lock, it’s been scratched but that’s about it. The lock feels solid and durable. Also, the flexible cable is a nice feature because it can lock onto various items, not only luggage. On the other hand, the cable is really thin and looks easy to cut. 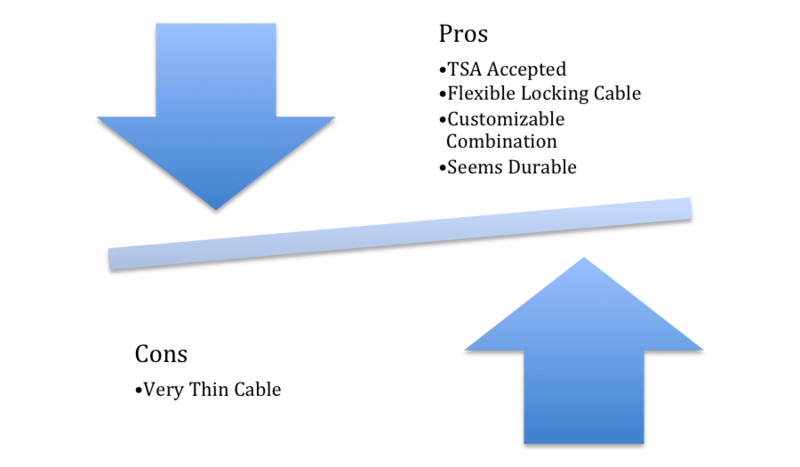 I’ve read reviews about people saying how it was easy to break the lock and open it without knowing the combination, but in my opinion, locks are mainly for deterrence. If someone really wanted to break into your bag, no matter how good your lock is it won’t help. With a knife they could simply rip the fabric, or they could just walk off with your bag while you aren’t there. No lock is perfect. This lock is pretty awesome, and I haven’t had any problems with it. 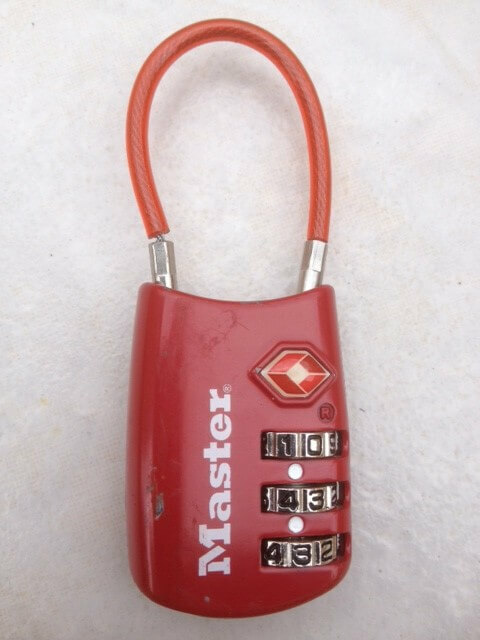 Our bags have been safe throughout our trip thanks to the Master Lock Cable Luggage Lock. I would rate the lock 5/5 stars mainly because I believe that locks are not meant to be invincible but instead to deter thieves. 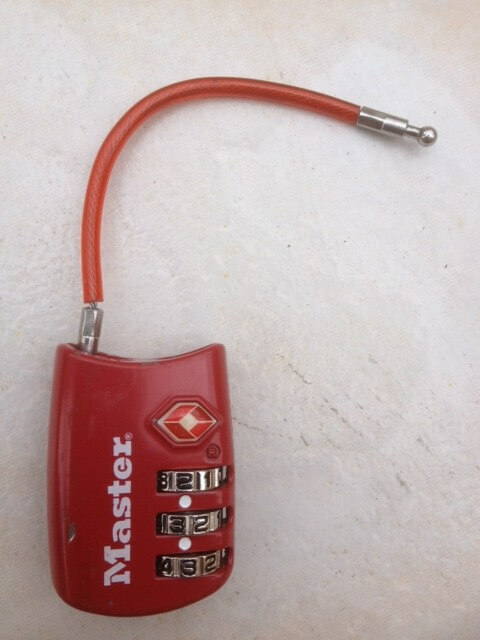 You can find this lock on amazon.com here.